Ashleigh Dodt was gearing to head back to University when we caught up with her. In her third year of an Occupational Therapy (OT) degree at Sunshine Coast University, with a part time job at Gympie’s Donut King, holiday work for Surf Lifesaving Qld at Southbank and with a her surf patrol every fortnight she has added the Summer Surf Girl competition to her workload. She has been working hard since last July raising much needed funds for the safety of our beach. Every Saturday night Ashleigh has been selling raffle tickets at the Rainbow Beach Surf Club, even visiting the Muster and Inskip Point’s New Year’s Day Party to fundraise some more. This month will see two major fundraisers: a Sunday afternoon Barefoot Bowls event on March 3 at Gympie and a Saturday Golf Day on March 23. 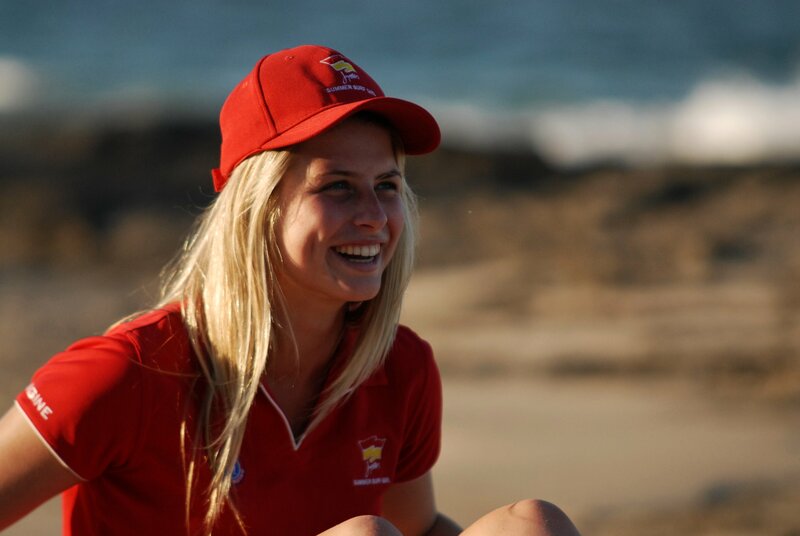 Ashleigh learnt about the Surf Girl Program at an SLSC State-wide Camp. It turns out the person she first asked about it and encouraged Ashleigh to set her sights for it, was Bridget Seymour, who went on to win 2012 Surf Girl for Alex Heads SLSC. Born in Gympie, Ashleigh progressed through nippers to become a patrol member and tells us she is the first Surf Girl for Rainbow Beach in 14 years. The whole program increases awareness of our surf club and that the whole state’s surf clubs are run by donations. “We have raised above and beyond what I thought was possible -it has been amazing!” Ashleigh says. So – get down to the Surf Club on Saturday nights or put a team together for the bowls or golf days, and help Ashleigh raise more cash for our beach and promote our piece of paradise to the rest of Queensland. Recycle week, art workshops, free eBooks and more!